Oat milk which has been popular with hipsters since 2016 for its creamy taste recently went through a shortage which caused its cost to skyrocket. While plant-based milks require processing and have to travel over distances to get to shelves, they’re still more ecologically friendly than cow milk. Hemp hearts, seeds, and oils which have risen in popularity after the legalization of marijuana in numerous states are a sustainable source of protein and healthy fats. Seaweed, which showed up in everything from beer, pasta, and even at home cooking last year is as hot of a food as ever. 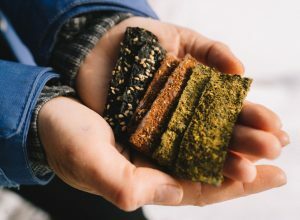 In 2019 try these vegan seaweed foods straight from the icy waters of Maine. Seaweed especially has had a rapid rise in popularity and as CBS News explained, increasing numbers of fishermen, scientists, and foodies in this country are starting to look at seaweed very differently — as a promising source of food, jobs and help cleaning ocean waters. With rising global populations and limited space to expand agriculture on land, they are turning to the sea — and its “weeds” — as a new frontier. Why This Matters: Food trends are mostly fun but its good news that meatless and more sustainable food options are starting to show up on the radar of more Americans. Plant-based foods can have a big impact on reducing global emissions yet most people don’t know where to start in altering their diets, if more retailers begin selling vegetarian snack alternatives it can help people make the switch more seamlessly.